Time is something that we deal with on an everyday basis, something that effects the lives of everybody and everything. When we started this project we had no idea what to do, and we kept saying that we wont have enough time to complete anything if we don't find something to work on, and fast. Time was of the essence – so we turned to it and faced it. What is time? What makes up time? Our perception makes up time. So we took what we perceived as time, a timepiece, and made our own. We started by taking apart a lot of watches to see exactly how everything fit together and what we needed to make. This allowed us to see how different watches function and the types of designs we could go for. After that we started designing on paper, sketch after sketch, figuring out the details. Next came measuring out the dimensions, and getting started on a blueprint. We then put it into Solidworks and got to work. Once done we took it to the RIT construct to get it 3D printed. And lastly was sanding and assembly. 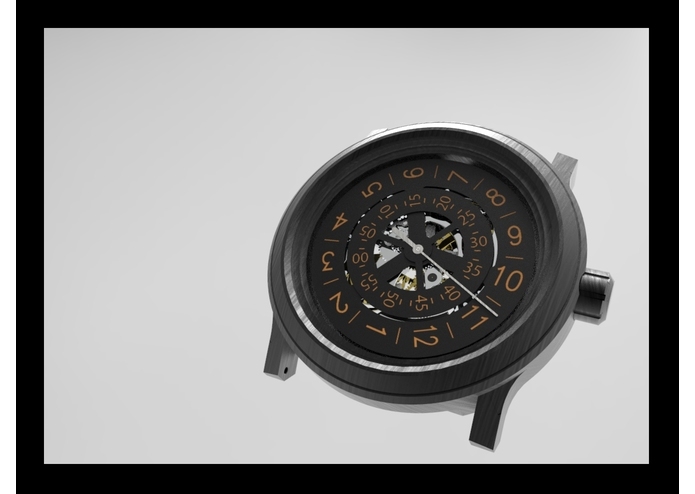 The modeling process was difficult as there are so many measurements and tight tolerances in a watch it is incredibly vital that they are all correct to the hundredth of a millimeter. Doing this took many hours with dimensioning charts and calipers, and much more math than we're used to. Another challenge arose after we had completed the model. When we took it to the construct we originally wanted to CNC it out of Aluminum 6061, however the person running the CNC was not available. And when we went to print it, we needed to to make sure everything was very precise so we decided to use the Resin printer, which ended up failing. We were able to make a very competent design in the time that we had, and it would be something that we would be proud to wear, and to put our names on. We learned that designing a watch is very difficult. There is a lot more that goes into it than we originally thought. We learned that measurements are hard, and math is harder. We learned that sleep is important and making a watch takes time. 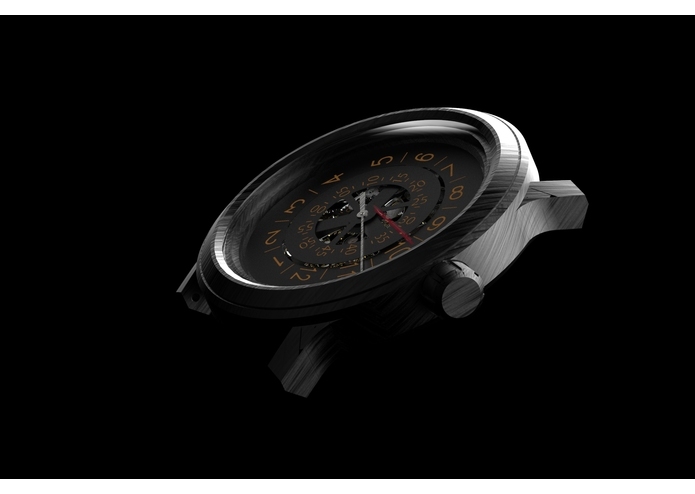 We would like to be able to try out our design in metal to see how the finished product would look, and to get opinions from others, and start designing watches full time. We did a solid job on this one, and with more time, and a bit more refinement, it, and others that we design could hit the market.